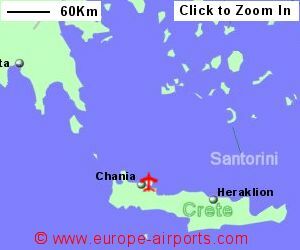 Find and compare the best prices from a range of well known car rental companies at Chania Airport. This is a free to use facility, enabeling you to book direct with the company quoting the price. 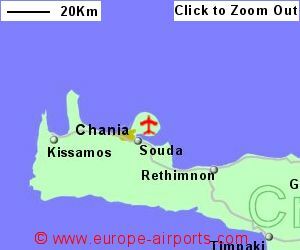 A bus from the airport to Chania will cost around 1 Euro (but these are not very frequent) or a taxi will cost around 25 Euros. In Chania, the Intercity Bus Station has more useful services to other parts of the island. Facilities include a cafe/bar, and 4 shops. Passenger throughput was 3 million in 2017, a 2% increase from the previous year.